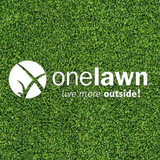 Founded in 2008, Onelawn has established a reputation as one of the leading synthetic grass installers in the Bay Area. We have installed over 1500 estate quality, synthetic grass lawns and tour quality putting greens throughout the area and have since expanded our product line to include court tile and rubber surfacing solutions. With the rising popularity of synthetic lawns in the Bay Area, it is really important to choose a company that has extensive experience installing synthetic lawns. Most synthetic lawns should last around 15-20 years before needing replacement, however the life of a synthetic turf depends on the quality of the installation. onelawn® has revolutionized the artificial turf installation process. This specialized method, developed after extensive research and field testing, delivers a safe and secure perimeter while stabilizing the body. Your Onelawn installation will be performed by factory-trained, tenured craftsman who will deliver a hassle-free experience and peace of mind. 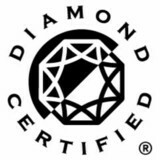 We distinguish ourselves from other synthetic lawn companies with superior customer service, our top quality 100% American-made products with Patented Duraflo® backing material made from 100% polyolefin material which is up to 50% more permeable than perforated urethane backed products. Synthetic grass with Duraflo® is 100% recyclable. We are committed to creatively and effectively solving your landscaping needs. Dedicated to rekindling your romance with the outdoors. Our designs are deeply informed by your needs, the site, the environment, and your maintenance goals. Let's build your dreams together. 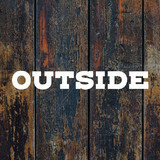 Christel Leung is the principal designer at Outside Collective. She has a BS in Design from UC Davis, a Landscape Architecture Certification from UC Berkeley Extension, and a former career in web design. Proprietor David Shamanik has been working with gardens in the Bay Area Since 1999. The company's number one goal is to create a natural yet refined look. David will bring an artistic touch to your garden with lighting, shape, texture and creative materials. The work often includes irrigation, lighting, stonework/hardscape and water features along with design and plant selection. Shape of the Earth is always happy to add to our base of regular maintenance gardens where we do pruning, trimming, weeding and cleanups. Contact David to schedule an on-site consultation. Your estimate is free. Landscape Engineering and Design Landscape Design, Installation, Gardening,, Proper Plant Care and placement, Plant Revitalization and revival plans, Irrigation installation and repair, Drip System installation and repair. Garden Timer installation, replacement and Timer setting services. Maintenance,: Maintenance Plans & Programming, Mowing, Trimming, Weed Wacking & Pruning, Fungus and disease control, Fertization, Earth Preparation: Yard Restoration Rototilling, Tractor work , Ground preparation, leveling and contouring, Sod Removal, New Sod installation, New Seeded lawn or lawn repair and patching work. Concrete Covering and Layering: New Concrete Cover layer many design, patterns, textures (Layering comes with a 10 year guarantee), work can be done on flat hard surfaces or walls (on concrete walls, brick walls, retaining walls). Concrete Work: Driveways, Patio, Side walk, Side walk repair , Asphalt Repair, Masonry, Stepping Stones, Flat Stones & Pavers. Carpentry and Construction: Fences, Arbors, Gazeebos, Retro Fitting, Redwood and Composite Decks and Walk Ways, Senior Homes: Assisted Living, Senior Living & Convalescence Hospitals, Adult Day Care, Decks, Walkways, Ramps, Hand Rails, and Landscape work. Handymen Services: Painting, Minor Appliance Repair’s, Plumbing, minor Electrical repairs, weather stripping, HVAC: Heating, Ventilation and Air Condtiong Services,: Ventlation Ducts, Water Heater Installatuin, Services Include: - Full Architectual Landscape Design : ( Dry Creek Gardens, Drought tolerant Gardens, Cactus Gardens, Tropical Gardens & Polynesian Style Gardens, Indoor Green House Garden Enclosures, Pre Spanish-Filipino Style Gardens, Japanese Tea Gardens, Chinese & East Indian Style Gardens, English & French Style Gardens, Mediterranean , Persian, Middle Eastern, African, Italian, Portuguese, Spanish, Mexican Ranchero & Greek Style Gardens, Traditional American, Western, Colonial American Gardens and Contemprary American Gardens). Celebrating over 25 years as the Southbay's #1 garden and lawn care specialist. Making your garden beautiful is our priority. As a full-service lawn & landscaping company in Marin County, We are a one-stop solution for all your landscape design and installation, as well as your lawn maintenance needs. GM Landscaping has been serving Novato, Sausalito, San Rafael, Fairfax, and surrounding areas since 2007. Clean Air Lawn Care is a full-service sustainable and organic lawn care service for residential properties in Los Gatos, Campbell, Willow Glen, Cambrian Park, and surrounding areas. We apply OMRI organic fertilizers and use clean, solar-powered mowers and equipment, to produce natural, healthy, green lawns that are good for the environment and safe for you and your family. Clean Air Lawn Care is breaking all stereotypes of your traditional lawn care company! Todd Morris Fire Protection is a fire safety company that specializes in designing, installing, and fixing commercial and residential fire sprinkler systems. We have helped countless homes and businesses in and around the Bay Area with state-of-the-art fire protection services. You can rely on us to keep your building and the people you love protected. Handyman Company, focus and engaged with the improvements of Residential - Commercial Projects. Affordable and quality services in Gardening, Yard Clean Up, Hauling, Carpentry, Plumbing, Electric. Designing and installing edible landscapes. Also garden coaching. Field of Green™ offers advanced grass systems that are not just beautiful, they are truly innovative. For unmatched realism and quality we offer over 20 synthetic grass products. CALL IT FAKE GRASS, ASTROTURF, FAUX GRASS, SIMULATED GRASS, REPLICATED GRASS OR ARTIFICIAL GRASS, with Field of Green™, the possibilities are endless. On the West Coast we can install for you or supply materials to homeowners and contractors. We also recommend professional licensed installers in areas we do not service. We know that the one-size-fits-all approach to turf is long gone, and we have unique products to meet your unique needs. From our high recycled and green content, to our unique antimicrobial products, innovation is truly built into our product line. Quality products also deserve a quality installation from a LICENSED CONTRACTOR. 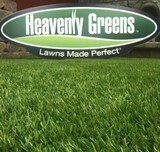 Field of Green™ is licensed in Landscape Construction and Synthetic Products. We have thousands of installs and satisfied clients plus an unprecedented 8 year warranty on our workmanship. With a wide range of product options, Field of Green™ can meet the needs of your landscape, playground, field, kennel or other individual application. Save TIME, Save WATER, Save MONEY, REDUCE your carbon footprint with high green content products and systems – GO GREEN TODAY WITH Field of Green™ – GRASS MADE PERFECT. In addition to the maintenance side of gardening, Larkspur, CA gardeners can help you with garden design and choosing specific plants and grass types for your climate and area. Find a Larkspur, CA gardener on Houzz. Narrow your search in the Professionals section of the website to Larkspur, CA gardeners. You can also look through Larkspur, CA photos to find examples of yards that you like, then contact the California contractor who worked on them.